Weather reports for the holiday weekend are looking good, as several hundred thousand spectators are expected to attend what has come to be a Long Island tradition for the Memorial Day weekend. Celebrating its 15th year, the Bethpage Airshow at Jones Beach will once again once again take flight this Saturday and Sunday. As usual, this year’s show features some of the industry’s top performers. 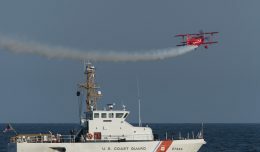 In addition to the Blue Angels, the show will also feature The Royal Canadian Air Force Snowbirds for the second year in a row. 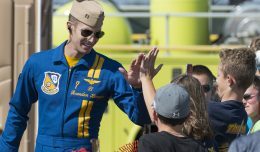 Other anticipated military performers include The United States Air Force F-22 Raptor demo team, and The US Army Golden Knights parachute team. Westhampton’s own 106th Rescue Wing is also expected to put on a demonstration. The list of civilian acts are once again among the industry’s best. 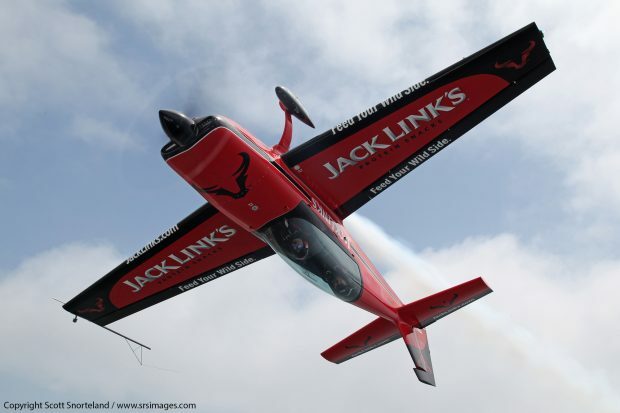 They include Sean Tucker, Matt Chapman, The GEICO Skytypers (with a new routine this year), and John Klatt flying the Jack Links Screamin’ Sasquatch Jet Waco. In addition to the show at the beach, Long Islands own American Airpower Museum at Republic Airport will be open throughout the weekend. The museum provides an opportunity for those who wish to get a more up close and personal look at some of the aircraft on the ground to do so. The museum will also be flying a host of warbirds both during the airshow and at the airport. 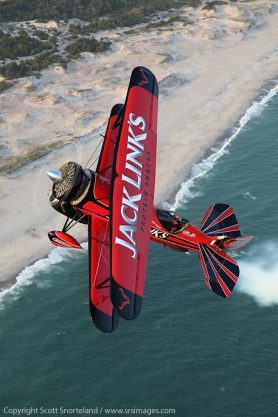 The show’s remote beach venue transforms the normal two-day airshow into a three-day event that includes Fridays practice show. “Attendance has increased over the first few years, with a record attendance of over 450,000,” states George Gorman. With the weekend forecast calling for mostly sunny skies, high attendance numbers are expected. This year’s event may very well be one for the record books. For more information on the airshow, timely performer updates and photos of the show, please visit this year’s forum thread. 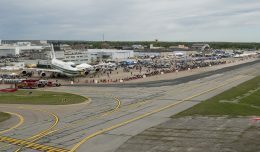 Air Show Correspondent Mark Kolanowski travels to North Kingstown, RI for the 2018 Rhode Island National Guard Open House at Quonset Point. 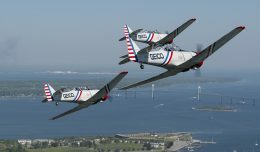 How an unexpected phone call from the Geico Skytypers greatly raised the anticipation level for one aviation geek at the Rhode Island Airshow. 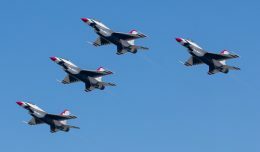 The Rhode Island Air Show was held this past weekend at Quonset Point, and it did not disappoint. Correspondent Mark Kolanowski takes us inside the gates. The 14th annual Bethpage Air Show at Jones Beach takes to the skies this weekend. Here's a preview of what to expect at this year's show.